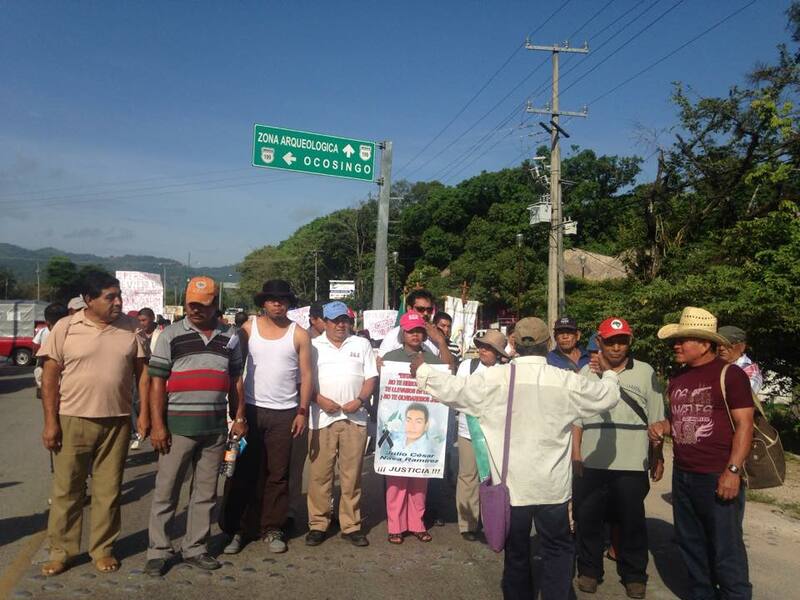 The ejidatarios from Cuauhtémoc Cárdenas community, Palenque municipality, denounced that on 2 August two municipal police trucks arrived to the community. “Of these patrols, 6 municipal police came out and approached the Ejidal House, where an extraordinary communal assembly was being celebrated with the three organization SERPAJ (Services for Peace and Justice-Morelos), the Ixim Antsetic Women’s House, and two coordinators from the Xi’nich organization. These police did not identify themselves or provide any documentation even though we requested this of them,” noted the public denunciation. The police expressed that they had received an emergency call from the state capital, Tuxtla Gutiérrez, affirming the existence of injured and burned persons due to a confrontation between Catholics and Evangelicals in the Cuauhtémoc Cárdenas community. The ejidatarios indicated that “this is not the first time that police arrive without identifying themselves in our community. On other occasions they have arrived on the pretext that there were confrontations in the community. In April they arrived saying that they came to protect 4 families, and that they would be conducting patrols due to a supposed threat of displacement.” “We grow weary of these lies. The police come to intimidate and provoke due to the internal conflict that has existed for the past 5 years, of which all the governmental institutions are well-aware. They use the lie that it is a religious conflict as a pretext to continue manipulating and terrorizing the organized community in defense of our Mother Earth, whom we will continue to defend,” they added in the document. 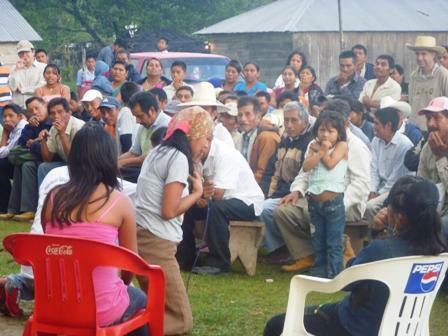 On June 17, the caravan continued onto San Sebastián Bachajón, municipality of Chilón, with the presence and participation of members organized in the ejido of San Sebastián Bachajón, representatives of communities that make up the People United in Defense of Electrical Energy (PUDEE) and the ejido of Tila. 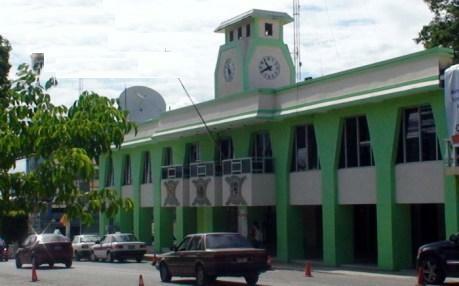 In Cumbre Nachoj, the headquarters of the ejido where the meeting took place, Doña Berta expressed that “in Tixtla Guerrero, we thought it was just us, but all of us have been beaten down by the government in one way or another.” The conclusion of the caravan took place in Palenque with the organization XINICH that is comprised of indigenous communities of the northern Lacandon jungle, ejidatarios from San Sebastián Bachajón, the Autonomous Council of the Coastal Zone, human-rights defenders, and the civil society in solidarity, demanding justice for Ayotzinapa and also for the case of the massacre in the Viejo Velasco community in the Ocosingo municipality that continues in impunity and took place in 2006. On May 24, in La Realidad, Chiapas and in many parts of Mexico and the world, a tribute to the Zapatista support base José Luis Solís López, alias “Galeano,” will be performed. 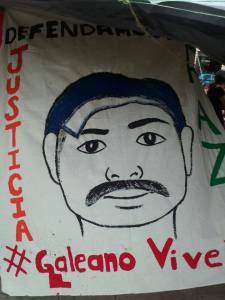 Galeano was killed in La Realidad on 2 May. For several weeks, statements and actions of solidarity have been organized. On Saturday 19 February, in the community of Limonar, municipality of Ocosingo, there was celebrated the presentation of the jTatic Samuel jCanan Lum Award to the Coordiantion of Indigenous Social Organizations Xi’nich. The event was attended by around 80 representatives of 25 communities and of 5 visiting organizations. The selection committee, comprised of members of several civil organizations from Chiapas and the individuals and organizations who received the award last year, decided to present the award this year to Xi’nich, among others, for its long-standing peaceful defense of the land and the rights of indigenous communities of Chiapas’ northern zone and jungle zone. 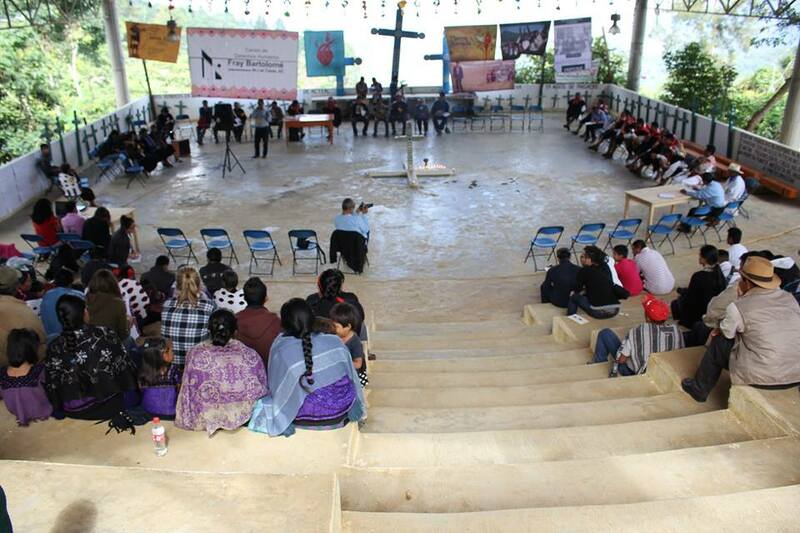 The event began at night on Friday 18 February with the showing of several videos regarding the work of Xi’nich, the life and burial of Don Samuel Ruiz, and the presentation of the jCanan Lum Award to all those recognized this year in San Cristóbal de Las Casas on 26 January, after the celebration of the burial of Don Samuel. The presentation of the award, which took place on Saturday, began with the presentation of the organizations of the jCanan Lum commission that were present: Social Economic Development of Indigenous Mexicans (DESMI), Commission of Support for Communal Unity and Reconciliation (CORECO), Service and Assessment for Peace (SERAPAZ), and SIPAZ. Later, youth from different communities put on a theater-work prepared with the assistance of L@s Zapay@s, a collective of critical clowns who dedicate their work to the political education of children by means of theater. 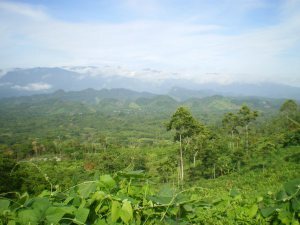 The work emphasized labor exploitation and discrimination against campesin@s and the indigenous with regard to migration to cities. By means of theater, the youth defended the importance of the traditions and ways of life of indigenous communities. The jTatic Samuel jCanan Lum Award was received by Margarita Parcero Álvarez and Miguel Martínez Gutiérrez, both of whom are members of the coordination of Xi’nich. Miguel Martínez thanked the jCanan Lum commission for having bestowed the award on Xi’nich in the name of all the members of the organization. Another member of the organization specifically invited the youth of the communities to participate in the activities promoted by the organization, so as to assure that its processes continue on into the future. Similarly, coordinator Magdalena González Velasco requested that the youth join the struggle of Xi’nich, mentioning that “hopefully the youth will continue developing its consciousness so as to continue struggling.” She also stressed that the path of Xi’nich had been difficult especially for women, but that they continue to struggle, although they be but few.